On April 6, Stealth Manufacturing appointed its first authorized Dealer in California. Smith Golf Cars has become the first California dealer for Stealth® Manufacturing, Austell, Georgia. Now, along with EZ-GO and HDZ Express Golf Cars, and Xtreme Kartz custom golf cars, Smith’s is able to offer the Stealth Electric side-by-side utility vehicles. The Smith’s are excited to offer a vehicle that is strong enough to do heavy work in a vineyard or farm without the noise, odor, or cost of running a gas or diesel machine. Stealth Manufacturing designs and builds electric and hybrid utility vehicles favored by hunters, vineyards, estates and nurseries. Stealth’s vehicles are unique for a number of reasons. 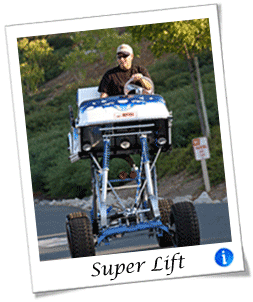 First and foremost, they build the vehicles in the USA of USA-made components. Second, Stealth units are powered by 72-volt systems making them more powerful and long-lasting than the competition. One unique feature of Stealth’s Night Hawk vehicle is that it converts in seconds from a 2-passenger vehicle with a tilting cargo bed into a 4 passenger vehicle. In business for over 25 years, Smith’s Golf Cars is dedicated to servicing all the vehicles they sell. No other dealer north of the Golden Gate Bridge can match the experience or service represented by Smith’s. When Stealth Manufacturing decided they were ready to enter the California Market, their first target for a dealership was Smith’s because of their excellent reputation and experience. This entry was posted in Electric Vehicle, Hybrid 4 X 4 and tagged 4x4 utv, Electric Vehicle, Hybrid electric vehicle, side-by-side utv. Bookmark the permalink.